Kuyenda is nestled amongst shady trees on the banks of the Manzi River. 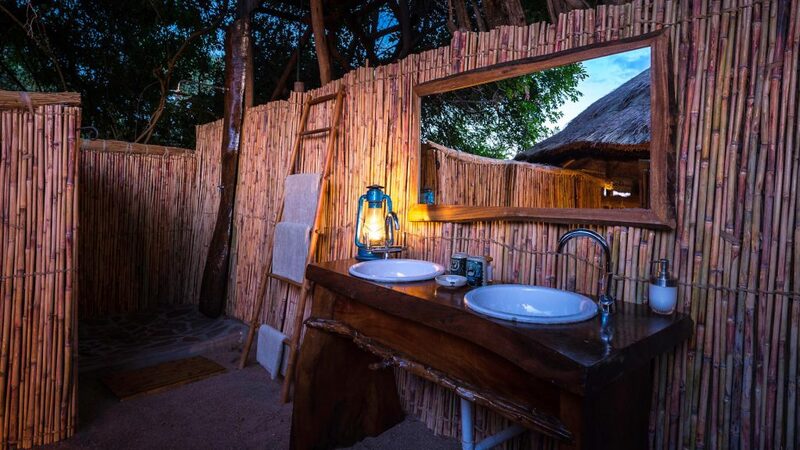 Accommodation is in 4 authentic thatched rondavels containing large spacious beds, mosquito netting and en-suite facilities including shower, toilet and wash basin. The central dining area lounge and bar overlook a grassy plain with abundant wildlife where the drama of wild Africa is your stage. The camp, is an ideal base from which to experience the continual unfolding of Africa’s dramatic wilderness at close range. Top Zambian Guide, Phil Berry has called Luangwa Valley home for more than 30 years and his camp carries the essence of the old Africa now lost. Quaintly luxurious the camp will offer comfort and authenticity that will live with you always. 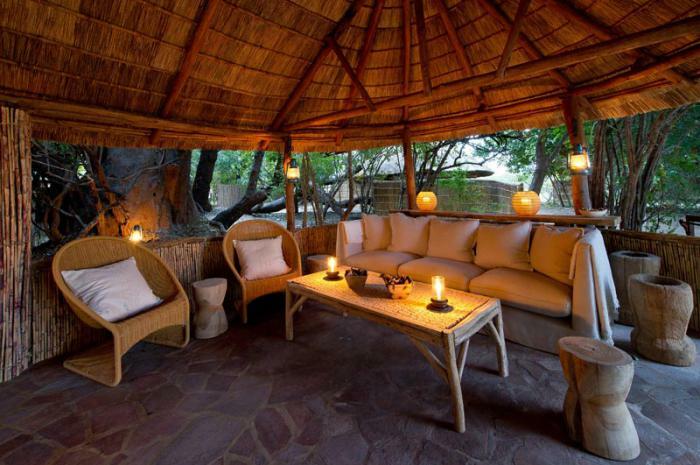 Kuyenda is one of the more rustic and traditional safari bushcamps in South Luangwa National Park. It’s situated in the south of the park under a grove of evergreen Natal mahogany trees, next to the Manzi River – which during the dry season is usually just a sandy riverbed. The emphasis tends to be on walking safaris in an area that is good for game viewing, whilst also being in a quieter part of the park. Kuyenda is normally run by Phil Berry and his partner Babette Alfieri, and many visitors return here because of their personalities, their charm and the warmth of the welcome. Phil is one of the most knowledgeable guides in Africa, and has lived in the bush for nearly 40 years. He has an active, inquisitive mind which he has turned, over this time, to his great passion – the bush – keeping meticulous notes on all the information he gathers. Phil is a renowned expert on the endemic Thornicroft’s giraffe, and is able to recognise over 200 individuals by their neck markings.